London, with its bustling and world-famous attractions attracts most of the people planning the courses of the English language. London has many prestigious language schools, accepting students on all levels of training, starting from scratch. The exceptions are the professional and special programs such as English for business. The minimum requirement to participate - the level of Lower Intermediate (B1). Among the largest schools in London to learn English: LSI, St George International, UIC English. General English course — all levels, lessons in group and individually. Academic English certificates English as a foreign language: IELTS, TOEFL, Cambridge certificate of English. English for business, Business English. 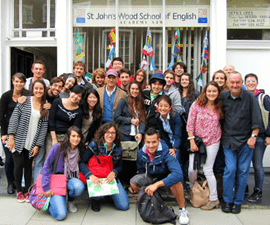 In addition, students planning to study English in language schools in London, can pick up groups by age. To clarify the presence of such groups has a language school. Summer English courses in London for adults do not differ in content from programs that run throughout the rest of the year. 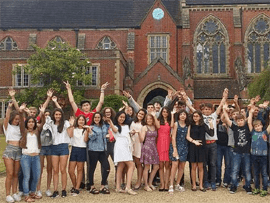 Some discount is available for early booking summer programs — although this is not always practiced, and the details can be found at the website of the chosen language school. Of course, in the spring and summer of any city transformed. Learn English in London, see the sights and walk around the city in the summer can be much more enjoyable due to the Sunny warm weather. And positive emotions that students bring from the trip, for anyone going to London, not less important than new knowledge. The hotel Breakfast (the most expensive option). In most cases, language schools London offer students the accommodation options, and look for them independently is not required. When choosing a residence, consider its distance from the language school. Remember that, in terms of distance from the city center the London underground is divided into 6 zones, moving between them is charged higher than for trips within one zone. Remember also that to pay for the London underground cash unprofitable. It is best to buy single-trip and pre-purchase an Oyster card. One of the most popular options for the duration of study — English language courses in London for 2 weeks. According to the students, this time is optimal from the point of view of Finance expended and the result achieved. Two weeks of training at a language school in London are to advance significantly in the study of the language, enough to fully experience the features of cultural and language environment. 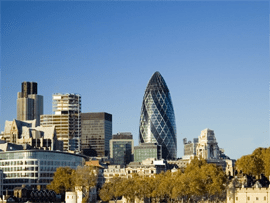 Business English mini group + individual, 25 lessons — from £1567. For an additional fee, many language schools London organize students ' leisure time activities: sightseeing, cultural and sports programs.